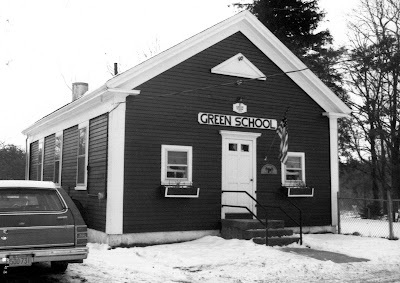 Welcome to Green School History, a site devoted entirely to the Green School in Middleborough, Massachusetts. Located on East Main Street in the Green section of Middleborough, the school was built in 1871 and was in continual use until June, 1941, when it was closed. Reopened for a short period of time in the 1990s, the Green School in 2009 was threatened with demolition. A group of concerned residents banded together to save this one-room schoolhouse. Thanks to the interest of the community supported by financial contributions by residents and former pupils, the building has been preserved and the exterior restored. A new use for the structure is currently under consideration. 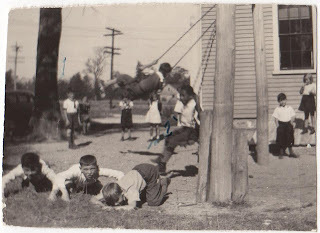 This site hopes to convey the immense historical and educational value which the Green School still retains, particularly its ability to speak to the educational history of the community of Middleborough. The easiest way to navigate through the site is by using the left-hand sidebar. 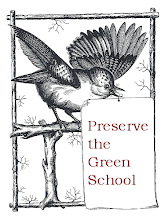 Click on the icons to read about some of the unique aspects of the Green School's history, to view pictures of the school and documents related to its history, or to make a contribution towards its preservation. Also, for a quick reference, you can also click on the chapters underneath each icon to go directly to a topic of interest. If you have driven by the Green School and thought, "What a neat place for ..." there is a committee waiting to hear from you. The 19th century former schoolhouse, which sits on what was the town green in colonial days, has been renovated by a group of volunteers with donations from the public, many of them local residents and former residents who attended the one-room schoolhouse before it was closed in the 1990s. The school was threatened with demolition, in part because of a heating oil leak, but the volunteer group stepped forward to save it. Meeting with the selectmen earlier this month, Town Moderator Wayne Perkins said the building is "tight to the weather." Structural work has been done, a new roof has been installed, and the building has been painted. It needs windows and a main door, Mr. Perkins said, as well as interior renovations. "Some electrical work has been donated, and others are waiting to come forward," Mr. Perkins told the selectmen. He said the informal committee including himself and former selectmen Lincoln Andrews, Bruce Atwood and Neil Rosenthal is regrouping in an effort to bring the renovations to a conclusion and help find the best reuse for the building. He asked the selectmen to appoint a representative to the committee and said the School Committee will also be asked to participate, since the building is still under the School Department's control. The selectmen appointed Selectman Allin Frawley, who works in construction and who volunteered for the job, to serve on the committee. Built in 1871, the Green School sits on the green across from the First Congregational Church. The Sproat Tavern, which entertained such celebrities as Benjamin Franklin in colonial times, once stood between the school site and the church. Colonial militia trained on the green at a time when the area was considered the center of town. The earliest known image of the 1871 Green School is a painting by Middleborough artist Mary Sproat (1837-1888) formerly in the collection of Attorney George Decas of Middleborough. 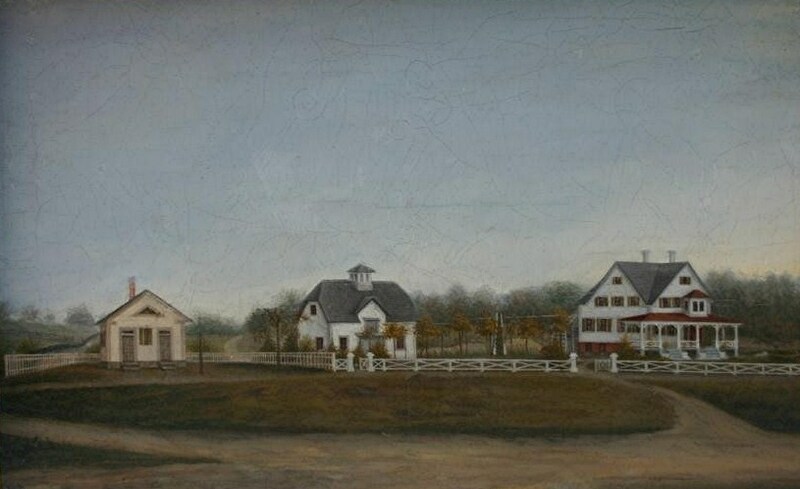 Sproat's depiction of the Green School was probably completed in the 1870s or early 1880s and captures not only the newly-built schoolhouse, but the neighboring Barton House and barn as well. The 13 x 21 inch oil on canvas painting depicts the three structures aligned along the south side of what was once a portion of the Training or Lower Green at Middleborough with East Main Street conspicuous as the roadway in the foreground. The school is clearly recognizable with its twin entrances (one for boys, one for girls), central window and triangular louvered vent in the gable peak. Three sides of the schoolyard are fenced. Next to the school is the home which still stands at 247 East Main Street. The house was most likely built following January 1870 at which time the land was purchased by Elvira Barton of Providence, Rhode Island, from William Davis of Middleborough. Mrs. Barton was the wife of Ernest J. F. Barton and the mother of Ernest F. Barton, both of whom were engaged as fresco painters. The house was later owned by Henry L. Thomas (1897-1906), Walter C. Thomas (1906-43) and Clarence E. Benson (1943-45). The barn, prominently located at the center of the picture, is no longer extant. It is possible that the radical changes which transformed the south side of the Green in the early 1870s prompted Miss Sproat to document them on canvas. 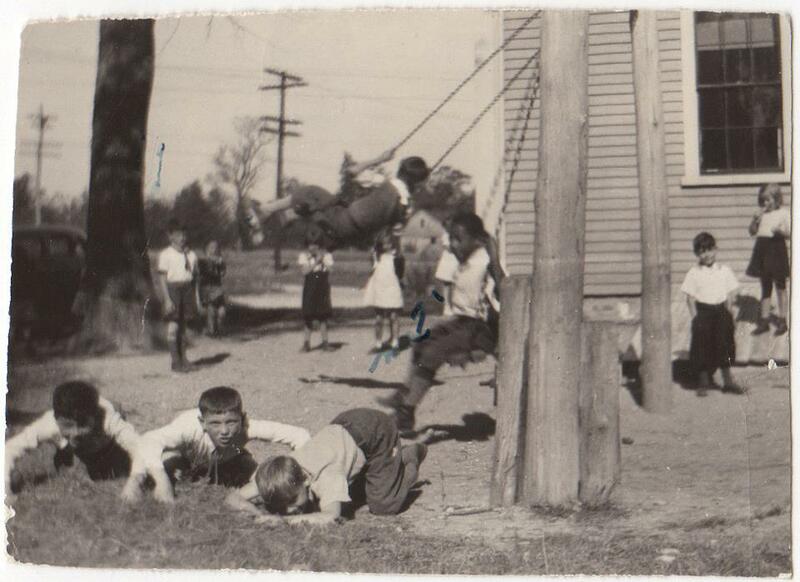 The following series of photographs, provided courtesy of The Beauty of Middleboro, depicts students of the Green School enjoying recess in September, 1938. The teacher at the time was Hilda G. MacKeen. 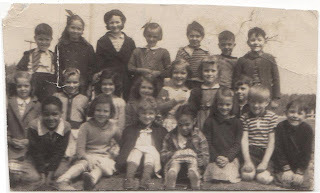 At the time, the school housed grades 1 and 2 for the eastern section of Middleborough. 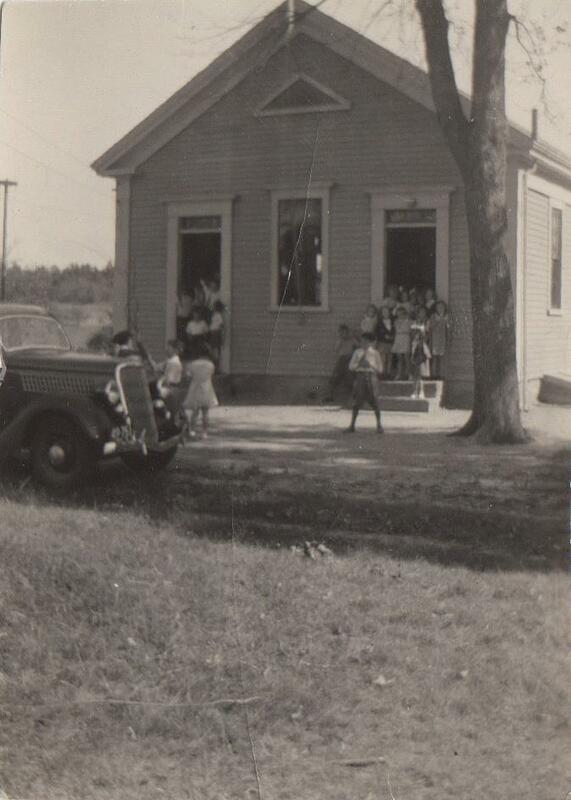 On December 18, 1925, Esther M. Spooner, the teacher of the Green School, with her pupils and their parents celebrated Christmas at the schoolhouse on East Main Street and the occassion was recorded for posterity in the pages of the Middleboro Gazette. 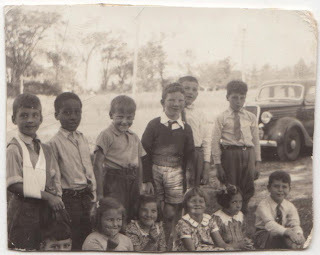 Friday afternoon, under the joint auspices of the teacher, scholars and the P. T. A., a very pleasant time was enjoyed by the Green school and about 45 of their parents and friends. The entertainment by the children consisted of two cantatas, Christmas carols and songs with Mrs. Grace Rorschach at the piano. The first and second grades presented “Old Santa” and the third, fourth and fifth grades presented “Christmas Gifts” with a proficiency and verve that showed what sympathetic instruction can accomplish with the ready imagination and enthusiasm of the children. The children, now freed of every care, gave their undivided attention to the handsome Christmas tree and with eager eyes expectingly awaited the many surprised its beautifully decorated and well laden branches held in store for them. The teacher had arranged for each pupil to provide one present for a designated classmate thus exemplifying the Christmas spirit of giving, while generously remembering all of them herself. 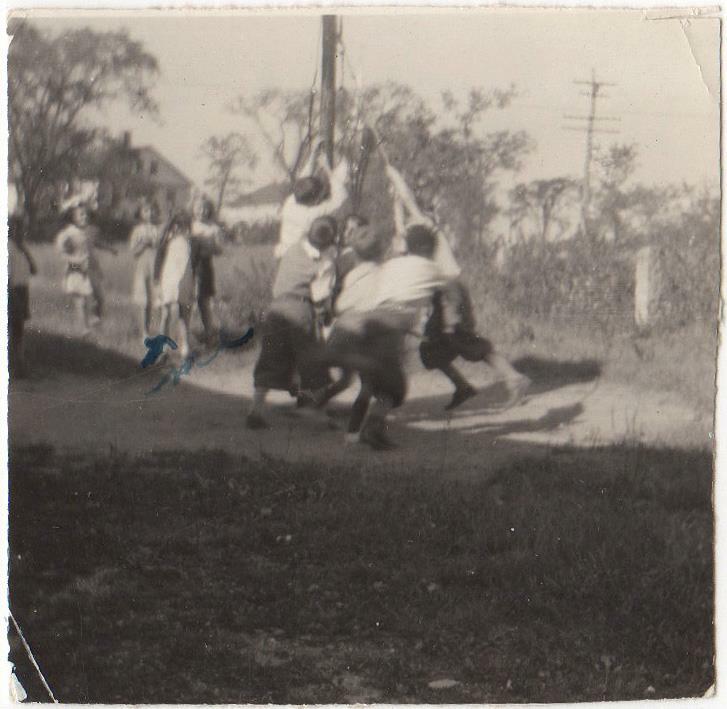 Nor were the parents and friends forgotten as the P. T. A. had provided a gift and candy for everyone present, young and old. Miss Spooner, the popular teacher, was the recipient of numerous gifts from both parents and pupils showing the high esteem in which they hold her; and as a token of their appreciation of her co-operation with the P. T. A., in all their efforts to make the association a success, Mrs. Annie Sears, the president of the association, presented her with a gold piece. 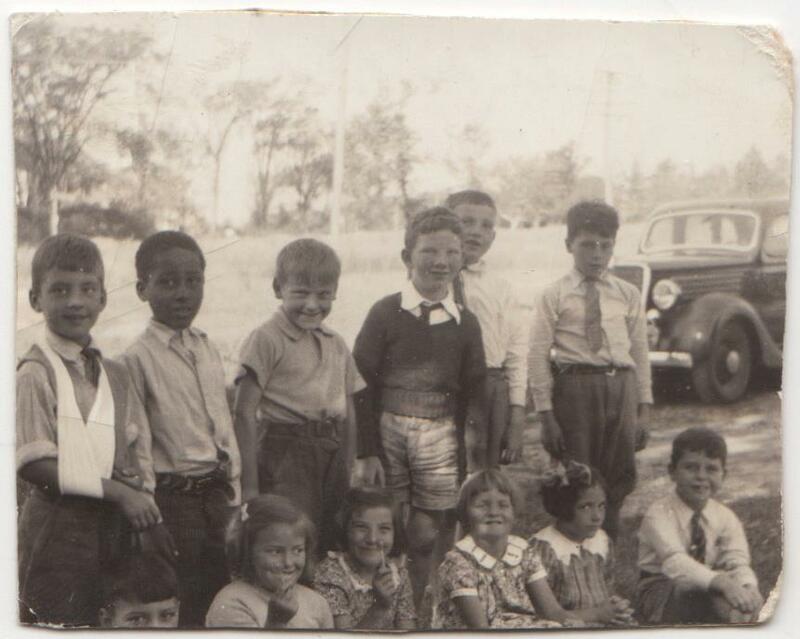 The committee appointed by the P. T. A. to provide gifts for all were Mrs. John B. Gagnon and Mrs. Herbert A. White. Middleboro Gazette, "Green School", December 25, 1925, page 1. Here … is all that could be desired. The [school]house, … is comparatively new….There is a large, well-fenced yard, and a commodious wood-house among the good things of this fortunate district. Click the icon above to find out how you can help preserve this piece of local history. Listed below are a number of links to informative sites related to one-room schoolhouses. Country School Association of America - Dedicated to fostering a deeper understanding and appreciation of the country school experience. One-Room Schoolhouse Center - An online resource for those interested in learning more about early education in the United States. School: The Story of American Public Education - PBS documentary series that chronicles the development of the American education system. Johonnot's 1871 work, published in the same year the Green School was constructed, is a comprehensive consideration of American schoolhouse design at the time.